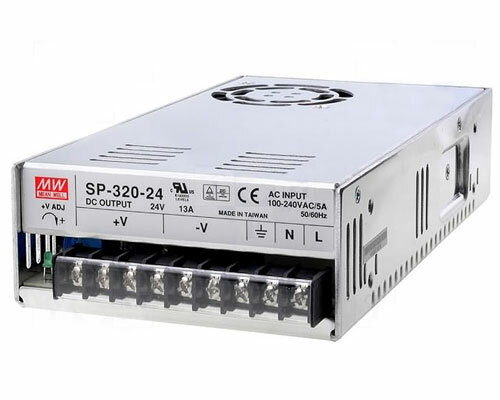 Dual PowerLab 6 Touch, 2000W, Multichemistry Battery Workstation with integrated Bump Controller. The new PowerLab Touch series of Battery Workstations from Revolectrix combines the amazing POWER, RELIABILITY, FLEXIBILITY, and INTUITIVE OPERATION of the original Cellpro PowerLab series with integrated BUMP Technology. Countless hours of R&D has resulted in four new and amazing PowerLab models; PowerLab 6 Touch, Dual PowerLab 6 Touch, PowerLab 8 Touch, and Dual PowerLab 8 Touch. 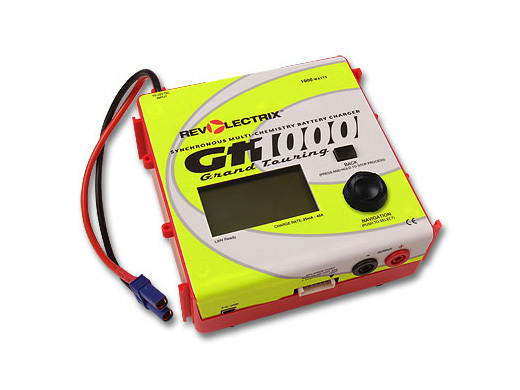 These flagship products represent the best REVO has to offer; 6s or 8s capable, Multi-Chemistry, Single or Dual Channel Charging "engines" based on time-proven reliable power circuit designs, married to a powerful, color touch LCD user interface; the best of what the original BUMP Controller has to offer, including NFC BUMPTag operation, Preset, or Manual Control of all Battery Management functions; on-screen real-time monitoring of all important data, integrated USB, and integrated Bluetooth 4LE for Android, and iOS Mobile Devices. All PowerLab Touch chargers are equipped with an EC5 connector on the input cable. 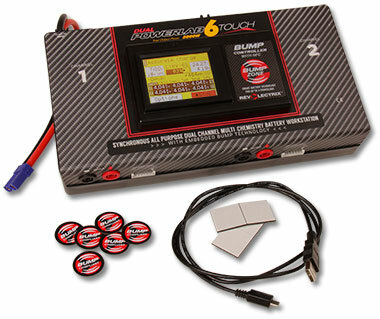 Units are packaged with (6) formatted, blank BUMPTags and the USB cable for updating firmware. NOTE: The new Touch series chargers include a JST-XH connector on the charger. 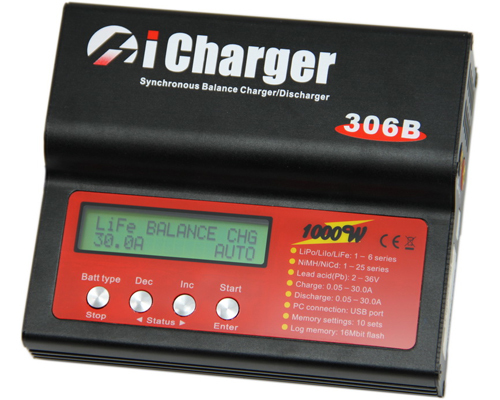 You may plug batteries with standard JST-XH balance connectors directly into the charger. If you are using a separate adapter, the cables used on the legacy PowerLab series chargers are not compatible with the Touch series. 1140 points will be rewarded to you when you buy this item.